PUF INSULATED PANELSThe efficiency, hygiene and life of a cold room depend on the panels and accessories that go into making up the structure. We have carved a niche amongst the most dominant names in this domain, engaged in offering PUF Insulated Panel. 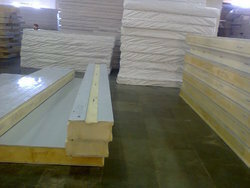 We are the growing company known for offering PUF Insulated Panel to the clients. 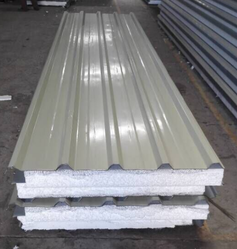 This product is used for external cladding or facades of buildings, insulation and signage. PUF Insulated Panel is efficiently manufactured at our sophisticated production unit using premium quality raw material and ultra-modern technology. - The efficiency, hygiene and life of a cold room depend on the panels and accessories that go into making up the structure. The efficiency, hygiene and life of a cold room depend on the panels and accessories that go into making up the structure.